Winner of several awards since coming on the market last year, the Volkswagen Golf Alltrack is a truly unique car available to Montreal consumers. 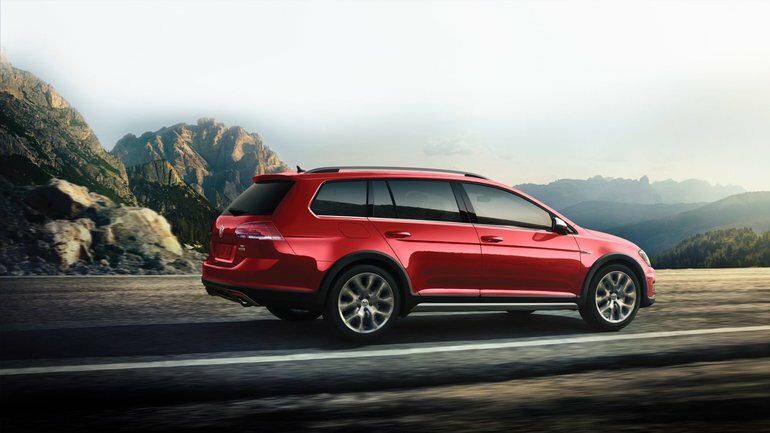 As spacious and versatile as an SUV with impressive off-road capabilities, the 2018 Volkswagen Golf Alltrack behaves like a car with disconcerting agility and high performance. This combination of the best parts of a car and an SUV makes the Golf Alltrack a great option for young couples or active families who do not like the idea of ​​driving an SUV, but still want a lot space and versatility. The trunk is excessively spacious and well designed to offer versatility that doesn’t disappoint. It is possible to carry all our luggage during family trips in addition to enjoying a range of configurations for the rear seat that allows us to transport our skis and other sports equipment. In addition to being spacious, the Volkswagen Golf Alltrack is also very well equipped. Starting at $ 34,345, it features an 8.0-inch navigation system, a Fender audio system, a leather-wrapped heated steering wheel, and dual-zone air conditioning. Under the hood, the new 2018 Volkswagen Golf Alltrack offers a 1.8-liter turbo four-cylinder engine developing 170 horsepower and 199 lb-ft of torque. This engine, combined with an automatic dual-clutch transmission, offers truly impressive performance and reassuring accelerations. The power is delivered without hesitation which facilitates passing as well. With its combination of power, equipment, versatility and style, the 2018 Volkswagen Golf Alltrack has a lot to offer. It's certainly not surprising that it was named Canadian Car of the Year in 2017 by AJC. It is also quite capable at driving off-road thanks to an OFF-ROAD driving mode and generous ground clearance. To learn more about the new Volkswagen Golf Alltrack, contact us today at Center-Ville Volkswagen in Montreal!